Uniting beauty and science with luxury, you can rely on this seamless, simply sublime range for a miraculous addition to your make up kit – and this high-impact mascara adds cinematic glamour to your lashes. Volumising, lengthening, separating and conditioning each and every eyelash, this formula leaves a reflective, glossy jet-black finish for the ultimate definition. Enriched with pro-vitamin B5 and beeswax, it also hydrates hairs while enhancing them – that’s all our boxes ticked then. 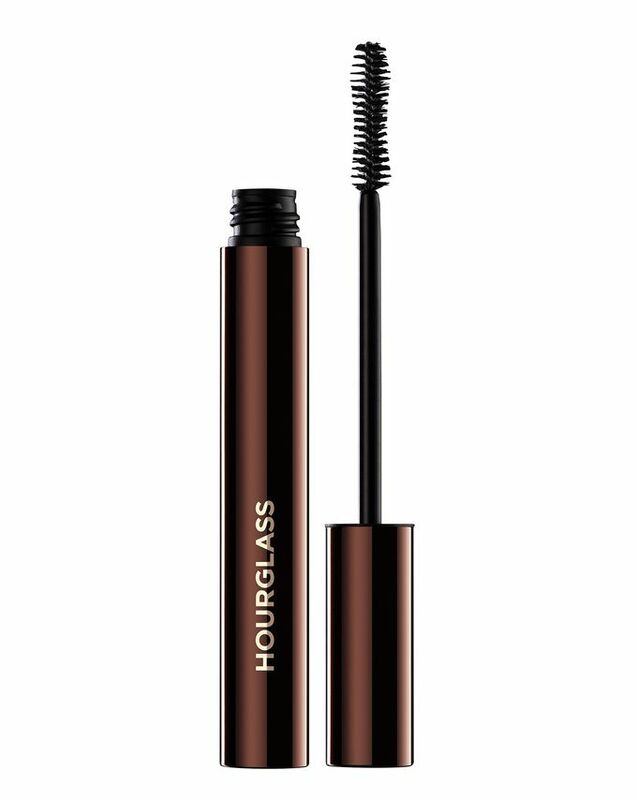 Get high-impact, cinematic results with Hourglass’ Film Noir Full Spectrum Mascara, which creates lashes worthy of a Hollywood starlet in just a few sweeps. Volumising, lengthening, separating and conditioning lashes, the ‘Onyx’ hued formula leaves a reflective, glossy jet-black finish that will make you look beautifully bright-eyed and bushy tailed. The nourishing formula is enriched with pro-vitamin B5, beeswax and natural vegetable oils to hydrate your eyelash hairs, while added polymers help the formula to adhere to lashes and resist smudging, fading or flaking. With unique ‘pinwheel’ bristles, the brush effortlessly adds length and enhances volume – all you need to do is apply it in upward strokes and get ready to flutter. 2. For maximum volume apply a second coat before the first application dries. I like this mascara, it has really good formula, it does not crumble, don't make clumps, it is stable for 12-16 hours. It gives also some care for eyelashes - my eyelashes got some volume and length from this mascara. BUT it has awful applicator, it is too thin and you get one big clump if you didn't remove the excessive mascara from it before using. I don't understand why it was impossible to make good applicator for such a good mascara. Due to this applicator the mascara dried up in 2 months (usually I use the mascaras for 3-4 months). I think that I'd repurchase it with other applicator. I love this mascara. It has ticked every box. It feels a bit more of a 'thin' formula (not as 'waxy' as some perhaps?) which makes it really easy to apply and it delivers definition and elongation without an overly dramatic look. It performs well without any flaking/smudging and lasts too. Perfect if you are not into the really full on look or after a more subtle daytime mascara!